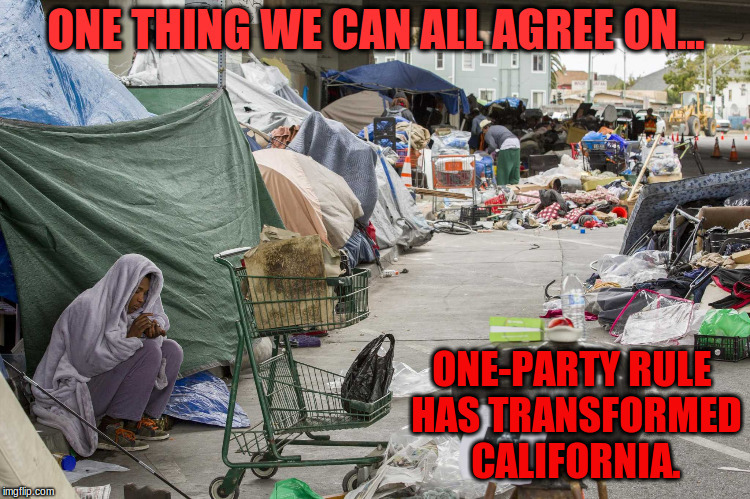 California has become the Utopia that will soon transform America. Seriously. In a bloodless civil war that will probably be over by 2020. Stop laughing! This guy’s a tech corp CEO and everything, so he must be smart! California today provides a model for America as a whole. I, for one, welcome our new delusional overlords. Curiously, not everyone is convinced. 3 Responses to California has become the Utopia that will soon transform America. Wow. “Delusional” is a good start. Or is the author really, oh, nevermind. I went back and read Peter Leyden’s bonafides. I’ll bet there’s not a hat available that’s big enough to fit him. i love kale. cook it with a ham hock. saw the final picture with pelosi and the president cut in to show them walking together. pelosi says, these foreign places really are shitholes. pesident replies, this isn’t foreign, it is your constituency in san francisco. those people, who don’t believe any evil is in them, are totally demon controlled, they certainly are not controlled by reason.